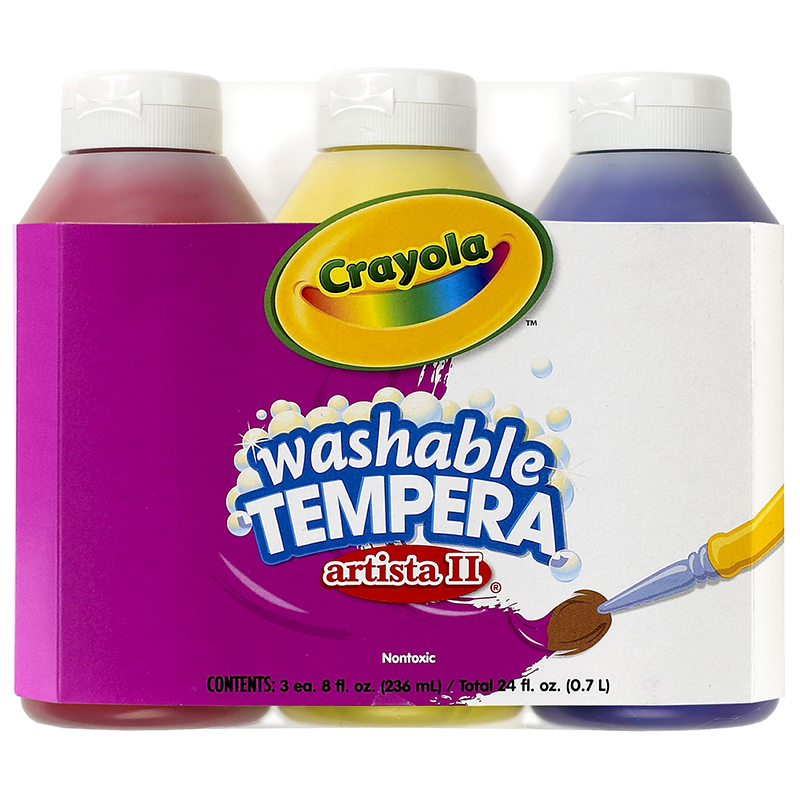 The Crayola Artista II Washable Tempera Paint features good opacity and coverage and can be used on a variety of surfaces, including newspaper, cardboard, and papier mache. 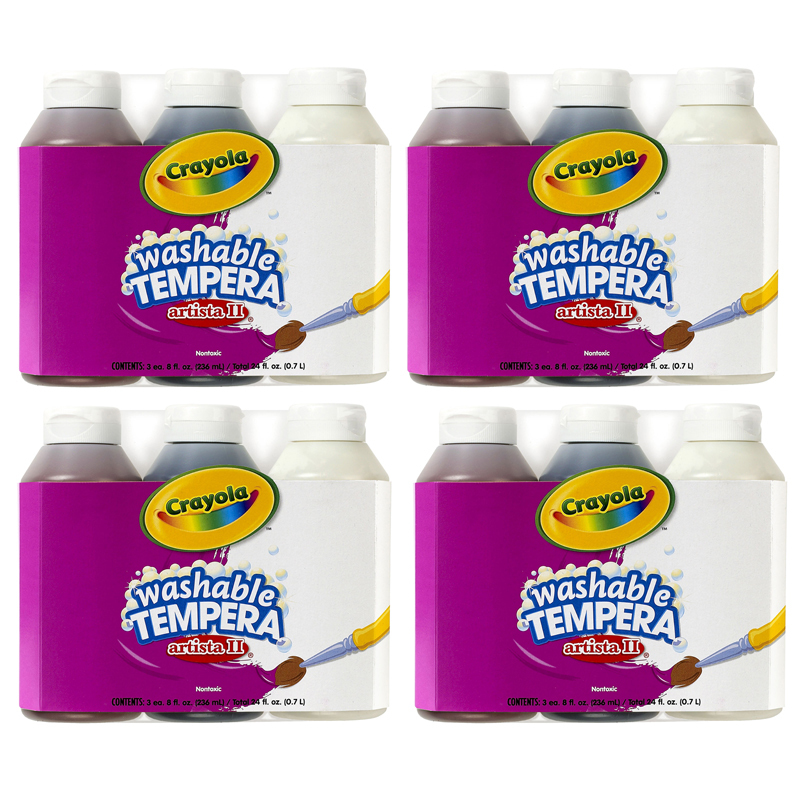 Washable from skin and most washable clothing, the Artista II Washable Tempera Paint has excellent adhesion and end result. 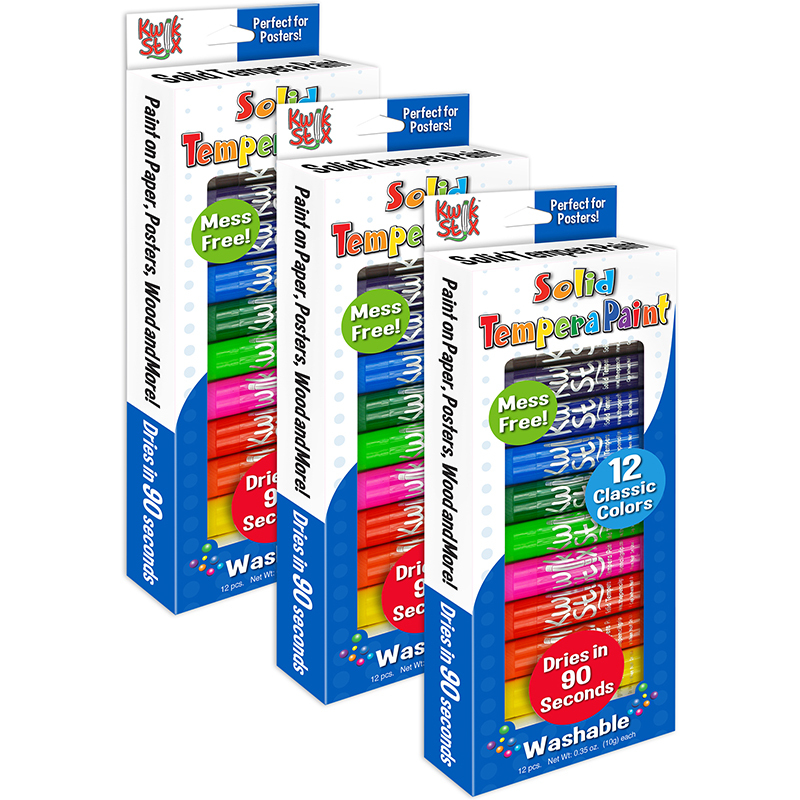 Perfect for secondary color mixing for teaching color theory, assuring consistent performance. Complete with a translucent, plastic squeeze bottle with air-tight flip-top lid. Each set includes 1 each of 3 colors (brown, black, and white) in 8oz bottles. Bundle includes 4 sets for a total of 12 bottles of paint. The (4 Pk) Artista Ii Tempera 3 - 8ozneutral Color Washable Paint can be found in our Paint product category within the Arts & Crafts.